Like most teenagers, my talented Cranford High School Junior intern, Catherine Holleran, loves to hang out with her girlfriends. 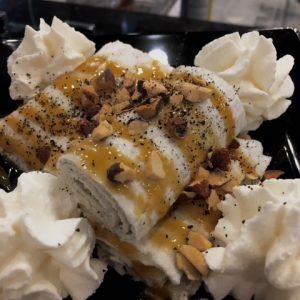 One of their favorite spots in town is A La Mode Creamery – a place where they can concoct their own ice cream creation and sit in a fun, parlor-like atmosphere hanging out as girls do! It’s a favorite hangout for teens – so when she was asked to write her first blog article for my website – this was her first choice! You’ll be impressed with her interview with one of the young business owners, Kevin Castor! If you haven’t been to A La Mode yet – you’ll want to make this a summer stop! Rolled ice-cream is the new trend and Kevin Castor and Dan Doering wanted to be a part of it! 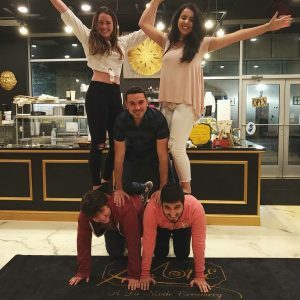 They are the young owners at A La Mode Creamery located at 2 South Avenue West in Cranford. Even though they have only been open since this past August, they have already made a big difference in this community! They have helped out Cranford High School by donating the proceeds each Monday to Project Graduation for the Seniors and they want to do so much more! They are very excited for their first full summer in Cranford! The staff is so nice and welcoming! I interviewed owner, Kevin, so see what makes them unique and why they are ready to be a staple in town! 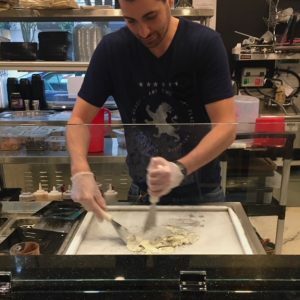 What made you decide to open up a business in rolled ice-cream? It is a big trend that we wanted to be a part of! Rolled ice cream originated in Thailand and when the first one opened in New York City – masses of people were waiting in line for it! There are currently only 17 rolled ice-cream parlors in New Jersey and only 2 (including us) make it fresh every day! We also anticipated that it was going to be very successful – just like the frozen yogurt trend was a few years ago! Dan and I are partners and have been working together for 5 years. 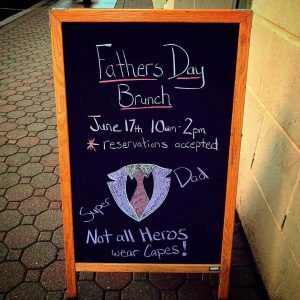 I worked in NYC and I’m going to be a new dad, so I did not want to commute back and forth from the city. I also did not want the long work hours! Dan and I got together and discovered the love of rolled ice cream. We went back and forth between where to open up for a couple of years and then found Cranford! We found this nice corner and fell in love with it! What made you choose Cranford? What made me choose Cranford is that it is a great town. It is so family-oriented. There is a ton of walking traffic and great surrounding towns. I also love how there is such a wide variety of cuisine in Cranford like Chinese, Italian, Greek, and many more! I love how there are a lot of different types of stores and the downtown is perfectly structured around the train station – which means there is a lot of foot traffic! This reassures us that Cranford is the perfect place! It’s also nice how the town cares about kids and the fundraisers are great. We want to be a part of the atmosphere of Cranford! What can a customer expect when they walk through your doors? A customer can expect to see the marble flooring, lighting, and decor when they walk through the doors. 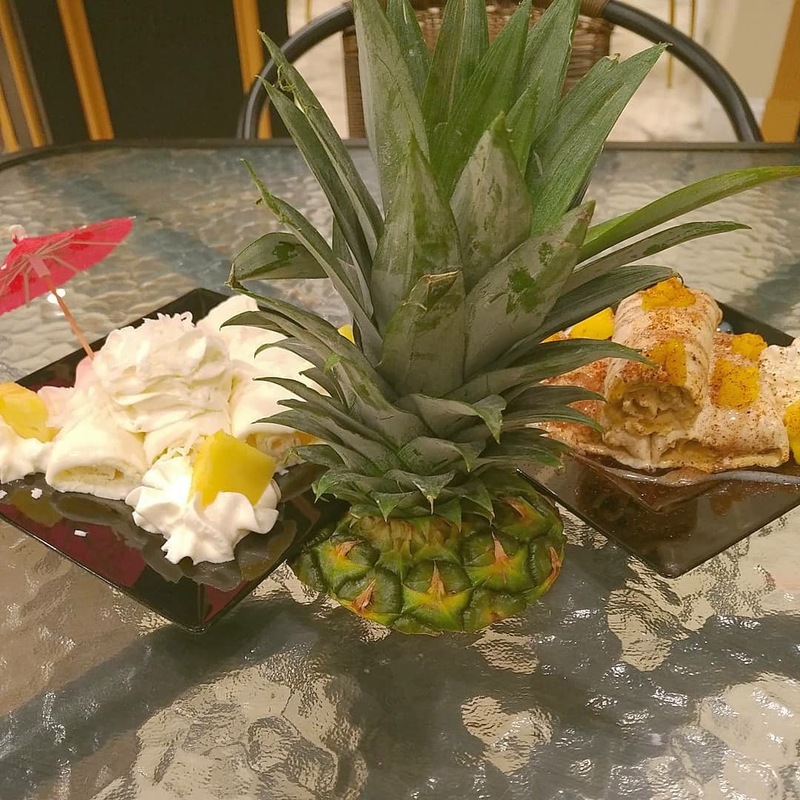 We are so different from any other ice-cream place in town in that we are more upscale. 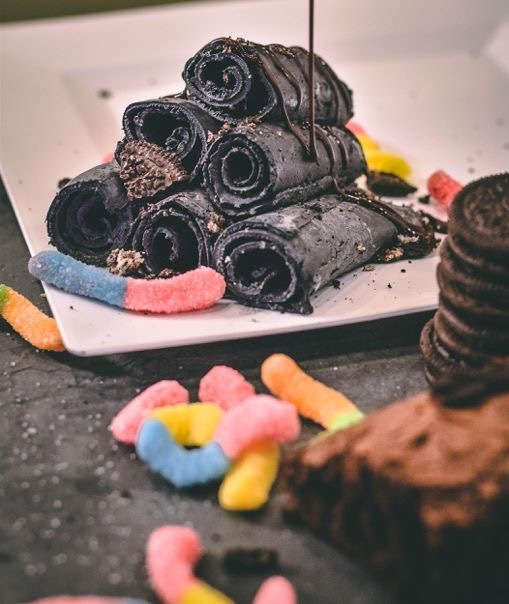 We also serve our rolled ice-cream the most unique way. The environment is great, we are all so welcoming and love sharing the whole experience of the ice-cream being rolled instead of scooped! What sets you aside from the other ice cream places in town? I think that the atmosphere sets us aside from the other ice cream places in town especially with our black and gold theme. We have a friendly staff and such a creative environment. 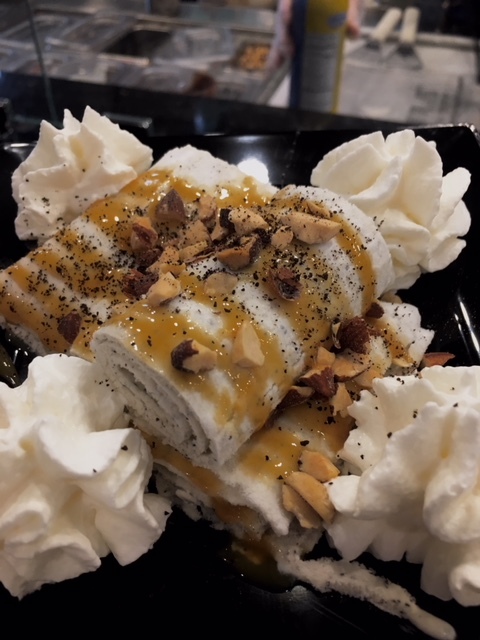 We allow our customers to create their own rolled ice creams with different ice-cream flavors as well as allowing them to have an unlimited amount of toppings! We make our ice cream fresh every morning and use all-natural ingredients. We also make it fresh right in front of the customers! You can see the whole process right in front of you which is very unique! What are some goals that you have for your business? Our main goal is to get ready for our first summer. We have sold over 16,000 rolled ice creams and are expecting to break that record during the summer! Due to the demand we are also currently hiring more staff – (hey, teens!!!) A La Mode will soon be getting a third machine which will help with production. We look forward to getting involved in street fairs and other schools in Cranford. We love to do birthday parties and are booking up quickly! 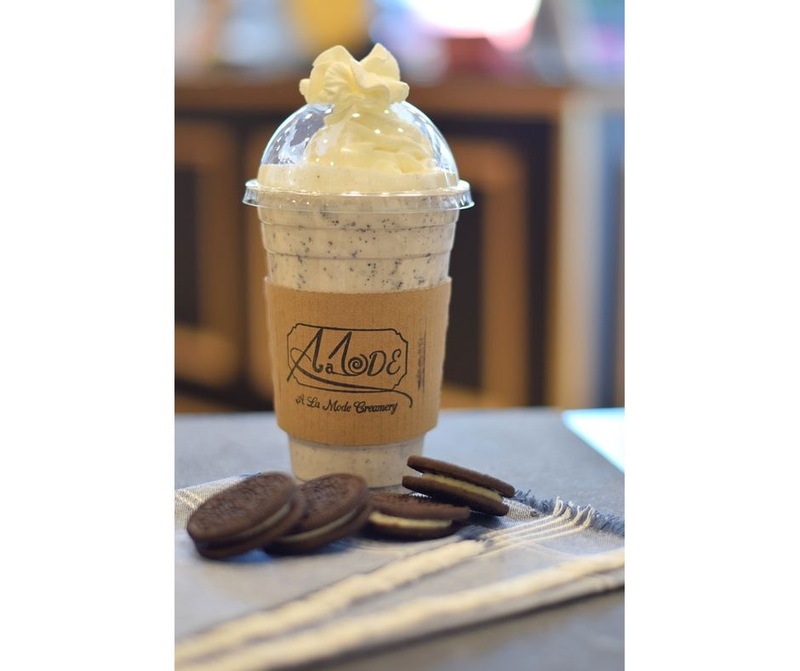 A La Mode Creamery is also excited to debut our custom milkshakes and ice-cream cakes! Also, Mondays throughout the month, we will donate our proceeds to Project Graduation for the upcoming Seniors at Cranford High School. We have donated over $300!! Wow – fundraisers, birthdays, unlimited toppings, and rolled ice cream goodness – sounds perfect to me! Make sure to stop by A La Mode Creamery and start a new summer tradition!